Parnassus Books is thrilled to present three of today’s best young adult authors for a panel discussion and signing of their new books on Friday, June 8, at 6:30pm. 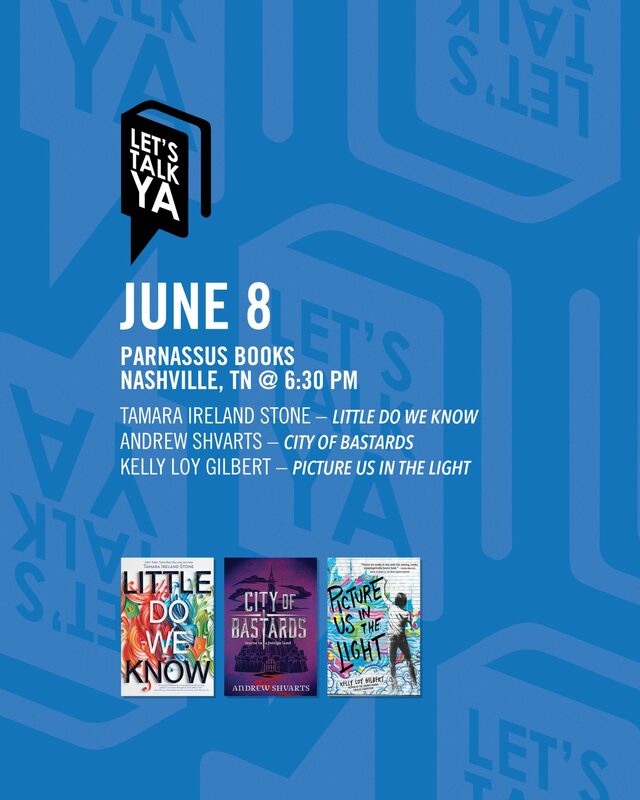 Tamara Ireland Stone will discuss Little Do We Know; Kelly Loy Gilbert will discuss Picture Us in the Light; and Andrew Shvarts will discuss City of Bastards. Read on for important event guidelines, as well as more information about each author and their new book! This event is free and open to the public. To join the signing line and have books signed by any author at this event, you must purchase a copy of either Little Do We Know, Picture Us in the Light, or City of Bastards from Parnassus Books, either in-store, over the phone, or online. Your book purchase will include a ticket that will admit you into the signing line at the event. 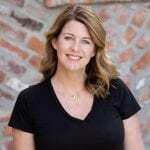 By purchasing a book from Parnassus, you are not only supporting a locally owned, independent business, but you are also showing publishers that they should continue sending authors to Parnassus. Beginning with our 2018 events, Parnassus event attendees may collect 10 eligible signing line tickets and redeem them at Parnassus for a coupon and a free tote bag. Can’t make it to the event, but still want to purchase an autographed or personalized book? Place your order below, enter “signed copy” plus any personalization details in the comments section of your order, and we’ll have the author sign your books and ship them to you after the event!